In this session, Tyler and Searnold of Completely Different Comics discuss their experience keeping a Patreon Launch Journal for 30 Days, where they committed to taking action and tracking results for their respective Patreon launches for a month. Lots of insight on what works when it comes to building your Patronage. Get your free Club ComixLaunch VIP Insider bonus Kickstarter resource atComixLaunch.com/club. How you can kickoff a challenge for yourself. Interview with a creator who took me up on the Challenge… took action, got results. One more READY FOR LAUNCH workshop — How to get your comic & graphic novel funded WITHOUT a big following on social media. My guest today is the creative force behind Complete Different Comics, where he delivers up a new stand-alone comic short on the first of every month, giving him the opportunity to work with lots of talented artists. He recently jumped head first into the Patreon platform and kept a 30-Day Launch Journal which he shared publicly charting his actions and results to get his Patreon off the ground. Growing the audience and reach of CDC and launching a successful Kickstarter are in the cards for him in 2017. 1) Before we get started, tell me a little bit about Completely Different Comics and your work? 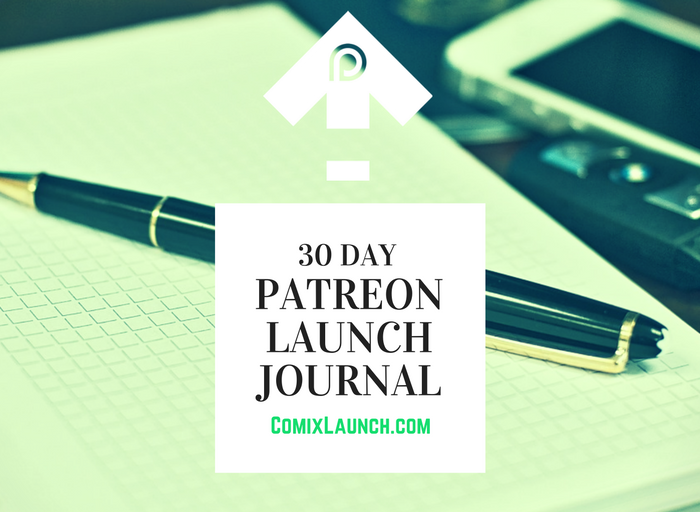 2) Okay, so, let’s dig into the Patreon Launch 30 Day challenge. What was it about the challenge that inspired you to take action on it? What was your initial goal? And how were you feeling about it before you launched? 3) What did you find out when creating your Patreon page and planning your launch that surprised you? 4) Where did your first Patrons come from? How did you get them to your page, and what did seeing that first pledge come through feel like. 5) 30 Days focused on anything can be tough… how tough was this challenge for you? What would you have liked to have done better or would you do differently in the future? 6) Where are you now with Patreon, and what do you see for your Patreon Page going forward? 1) Let’s the pretend the powers that be at Patreon are listening (which you know they are)… if you could change one thing about the Patreon platform, what would it be? To be able to interact with people on Patreon who follow you and receive updates but haven’t yet backed you. 3) Do you have a tip for finding artists to collaborate with? Membership has its privileges, and to get a taste of them absolutely free, please go toComixLaunch.com/club and download a free Club ComixLaunch VIP Insider bonus resources today. What’s something measurable that you want to improve?